Leading SaaS provider in Digital Lead Management, RAPID RTC™ has reportedly signed a major agreement of sorts with Volkswagen UK. As per sources, with this agreement, the Canada based company will deploy its lead management platform across Volkswagen’s network that supposedly encompasses more than 200 Retailers. If reports are to be believed, this new partnership will help Volkswagen’s Retailers to restructure their digital lead response capabilities. Apparently, Rapid RTC’s technology has a striking record of a 100% response rate for online enquires. Incidentally, Rapid RTC provides assistance to Volkswagen’s UK retailers by delivering services and guidance through its UK Dealer Care team. The Head of Sales at Volkswagen UK, Patrick McGillycuddy, reiterated the changes that the automotive retail industry is currently undergoing in terms of consumer preference and further stated that VW has prominently recognized this trend of an increasing number of customers looking forward to making enquires through digital showrooms. 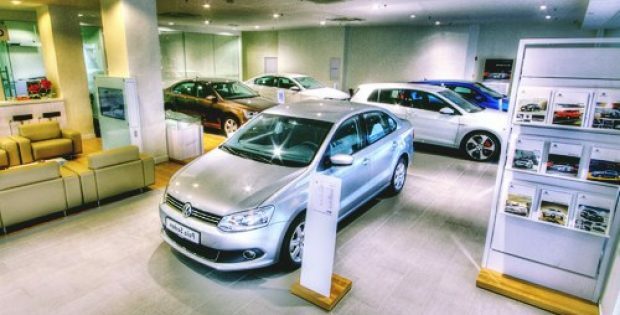 He also added that Volkswagen had identified the changing outlook through its Blended Retail activity and has accordingly established an online retail provision. The company is mighty pleased to be joining hands with Rapid RTC to streamline this provision further, he claims. An official statement from Rapid RTC claims that the partnership has been useful for the company with regards to adding Volkswagen UK as a key contributor to its growing client portfolio. Incidentally, the portfolio already comprises renowned automotive brands. As per sources, the renowned Canadian company now has its presence across three continents with more than 2,500 clients across the globe. According to Pontus Riska, Director, Corporate Accounts, Rapid RTC Europe, the firm is thrilled to be extending its platform to every VW Retailer in the nation and is looking forward to working in close cooperation with the VW team. Rapid RTC also aims to help VW’s Retailer network enhance the experience of customers in the digital communications sphere, he adds further.